I am the difference maker. I am the new Nikon D850. The search for uncompromising photography and videography performance is over. 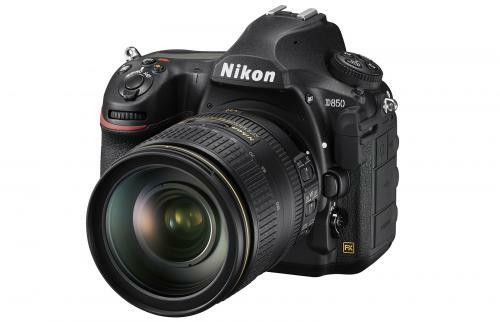 The Nikon D850 sets remarkable standards of quality with an impressive 45.7 effective megapixels that allows it to capture the most awe-inspiring images and produce phenomenal 8K UHD time-lapse movies. Create epic film masterpieces in full-frame 4K UHD with NIKKOR wide-angle lenses, or prolong exquisite moments with its 120p/100p Full HD slow-motion recording. It also boasts enhanced superior agility to keep up with the demands of the modern photographer, such as continuous shooting functions at speeds approximately 7fps or 9fps1, superior 153-point autofocus system, and a revolutionary shutter and mirror drive mechanism that improve the stability of the composition and silent interval timer shooting. No matter your subject or interest, you will always be inspired to bring out your best with the game-changing Nikon D850. range of 64 to 25600 also allows increased sensitivity and versatility. outdoors, creating more vibrant colours that stand out with every image. key shot during sound-sensitive situations with animals or athletes. operations – facilitating easier confirmation for composition and images. with the ability of batch processing RAW files directly within the camera.